Nvidia is following up the release of their Tegra K1 chips from last year with a new, more powerful SoC called Tegra X1. The new SoC is designed to be power efficient while delivering performance unsurpassed by the current range of chips on the market, thanks to a new CPU design and a Maxwell-based GPU. Rather than choosing their own Denver CPU design for the Tegra X1, Nvidia has gone with a combination of ARM Cortex-A57 and Cortex-A53 cores. There are four of each core in the X1 (for a total of eight CPU cores), but not in a standard big.LITTLE configuration, with Nvidia instead using a custom interconnect that closely resembles cluster migration. The quad-core Cortex-A57 cluster features 2 MB of L2 cache, with a separate 512 kB of L2 cache available to the A53 cores. Nvidia claims that with their custom core interconnect, Tegra X1 can deliver 1.4x more CPU performance than Samsung's Exynos 5433 at the same power consumption, or the same performance for half the power. 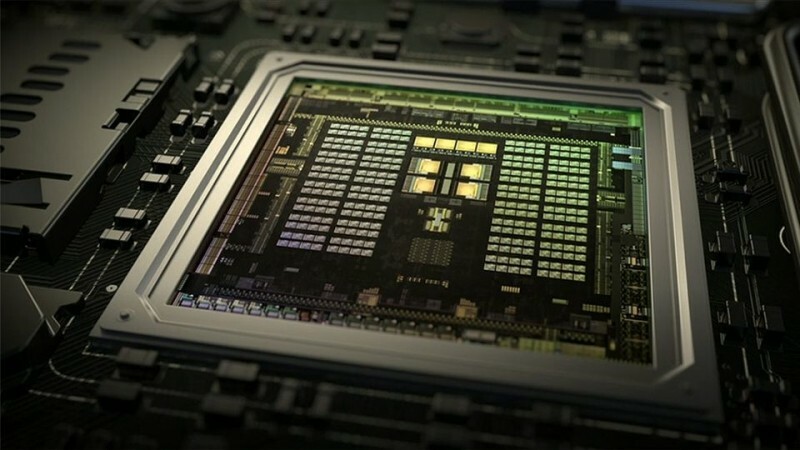 On the GPU side, Nvidia has implemented their power-efficient Maxwell architecture that was designed specifically for mobile chips such as the Tegra X1. The GPU core in the X1 features 256 CUDA cores, an increase on 192 cores in the Tegra K1, clocked around 1,000 MHz alongside 16 texture units and 16 ROPs. The memory bus stays the same at 64-bit, but the shift to LPDDR4 memory support at 1600 MHz in the Tegra X1 (for 25.6 GB/s of bandwidth) should improve memory performance, especially where the GPU is concerned. Nvidia has also increased the maximum display resolution supported by their SoCs to 3840 x 2160 at 60 frames per second with support for HDMI 2.0. The ISP has had JPEG encode/decode performance significantly increased to 600 MP/s, and there's also new support for 4K60 HEVC and VP9 hardware acceleration, as well as 10-bit H.265 output. The Tegra X1 will be manufactured using a 20nm process node, although it's unclear exactly when we'll start to see the SoC implemented in devices. While it sounds like a mighty powerful chip on paper, the same could be said about Tegra K1 at launch, which took many months to hit the market and only saw a few design wins.